ASECAP members need the Delegated Act on C-ITS now in the shortest delay. We cannot stop the transformation of road safety improvement with the support of available C-ITS based equipment. The Delegated Act will safeguard the investments of toll operators, which they have already invested in pre-deployment activities in 16 countries covered under C-Roads and other EC supported projects, therefore incurring also the risk of wasting EU funding. We consider the “Assessment of the Commercial Availability of LTE-V2X Equipment According to the 5G Automotive Association (5GAA)” by the EC and came to the conclusion that we cannot wait for another 3-5 years to implement another future technology that have equal benefits on road safety and achieve “Vision Zero”. Vehicle manufacturers are on the verge of deploying vehicles to support that effort by 2019. ASECAP members are ready to deploy C-ITS systems able to communicate with users in only one interoperable language. Why should we be all involved to save lives? 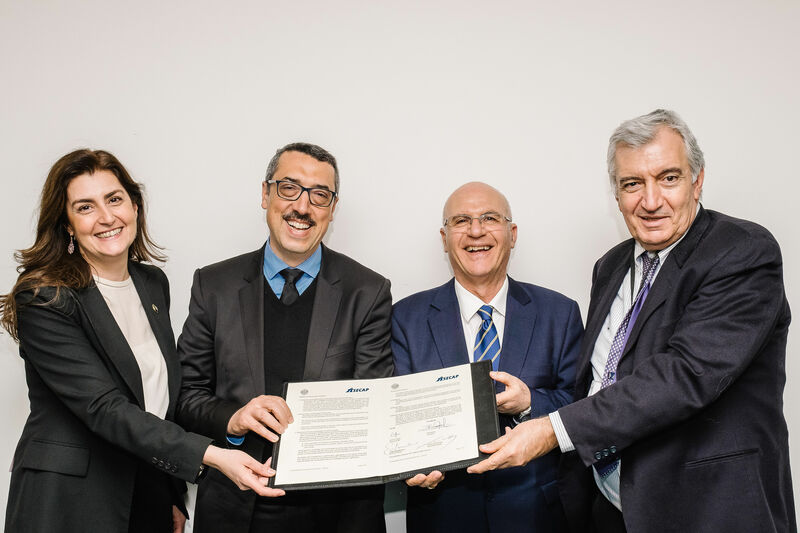 The ASECAP Conference set the scene for the signature of a Memorandum of Understanding between ASECAP and the International Road Federation (Geneva, Switzerland) aiming at further strengthening the collaboration between the two organisations. Signed by Anouar BENAZZOUZ, Vice President of IRF, Susanna ZAMMARATO, Director General of IRF, Bill HALKIAS, President of ASECAP, and Kallistratos DIONELIS, Secretary General of ASECAP, the MoU sets the framework for a reinforced cooperation that will facilitate synergies between the two organisations and their respective members. Evangelos KAREKLAS (NEA ODOS, Greece) - Accident Analysis on the ATHE & IONIA ODOS Motorways HELLASTRON - Alternative Approaches? REGISTER NOW FOR THE 47TH ASECAP DAYS, 29-31 MAY 2019 !!! Visit the ASECAP Days website without delay in order to register now for our event and benefit from early bird fees until 10 April (EXTENDED DEADLINE) !!!! Do not forget to book your hotel room: the deadline for room booking is on 10 April. There will be no deadline extension !!!! Furtheremore, if you want to become a sponsor, view here all opportunities to boost your brand visibility.